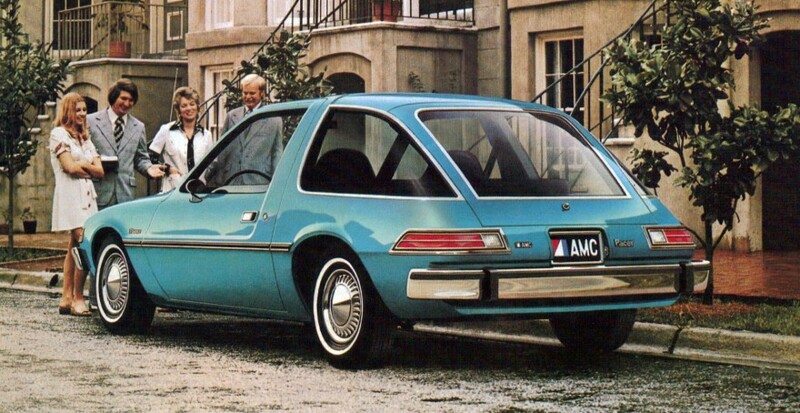 The 1976 AMC Pacer was the second year of its production, which lasted until 1980. 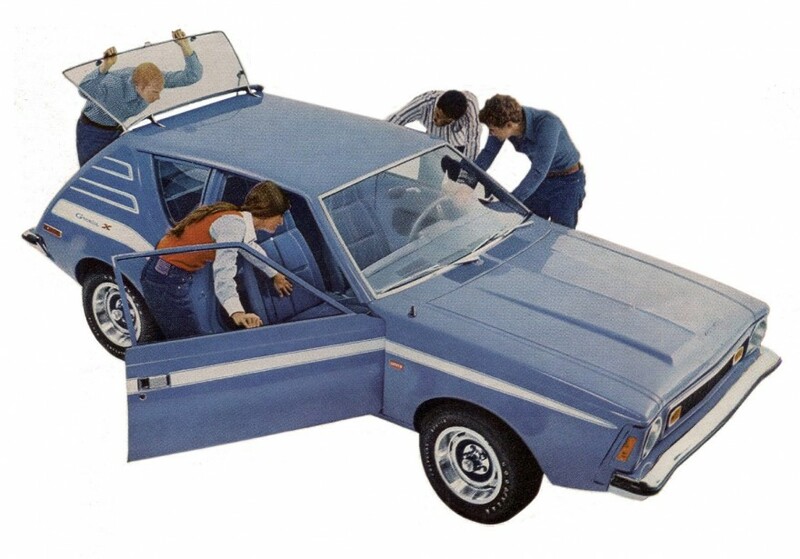 The design explorations for this vehicle started back in 1971 by Richard Teague that Car & Driver magazine called The Flying Fishbowl, and AMC promoted it in 1975 as the first small wide car. 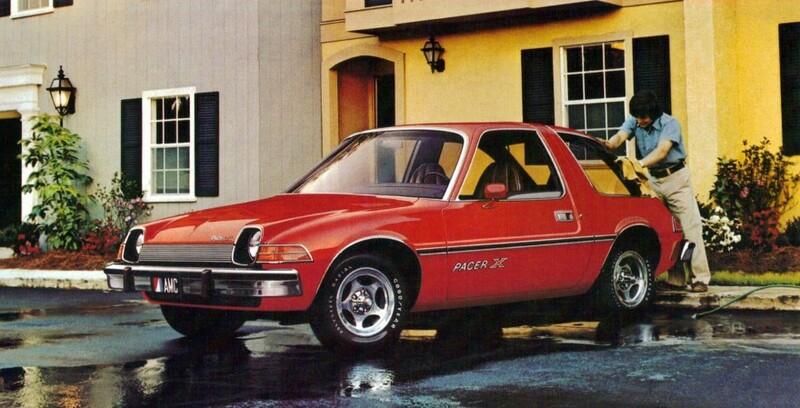 Check out this very informative in-depth documentary which tells the true story of the AMC Pacer. Published on September 5, 2012 4:46 pm. 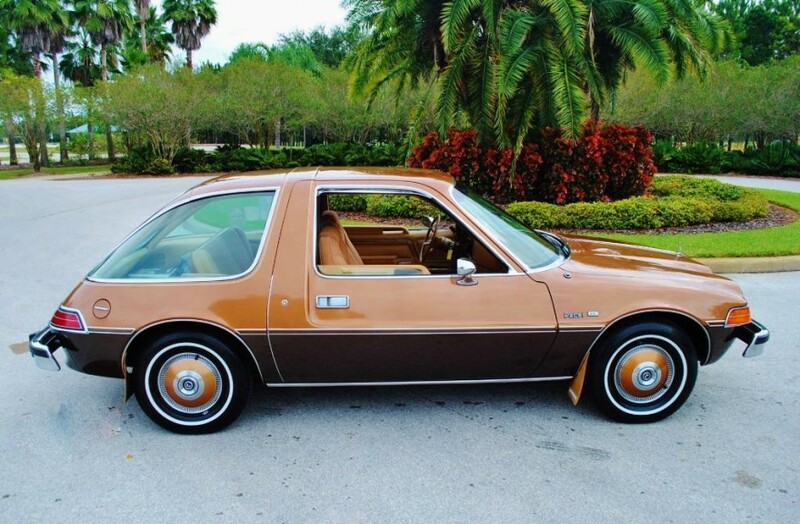 This 1976 AMC Pacer X has the “X” Package, which was available from 1975-1978 in coupe form and consisted of vinyl bucket seats, sports steering wheel and custom trim, as well as a floor-mounted gear shift and front sway bar. 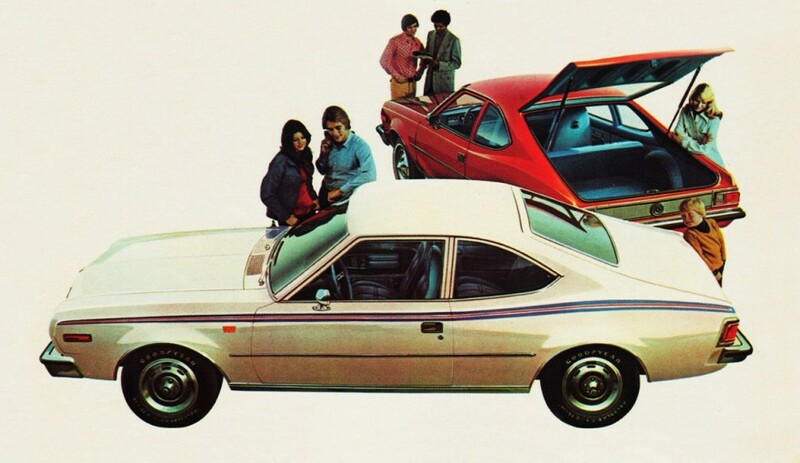 The model received exterior chrome features, styled road wheels, Pacer X decals on the doors, and other package identification. It was renamed “Sport” in 1978 and subsequently eliminated. Published on September 4, 2012 2:55 pm. Published on October 22, 2011 10:27 am. 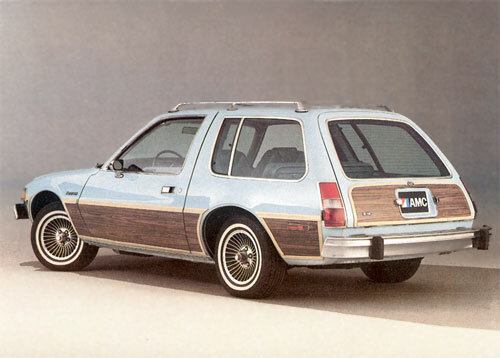 1980 was the last year for American Motors Corporation’s 3-door Pacer hatchback, which was produced by AMC since 1975. Chief stylist Richard A. Teague began work on the Pacer in 1971. Published on October 21, 2011 4:24 pm. 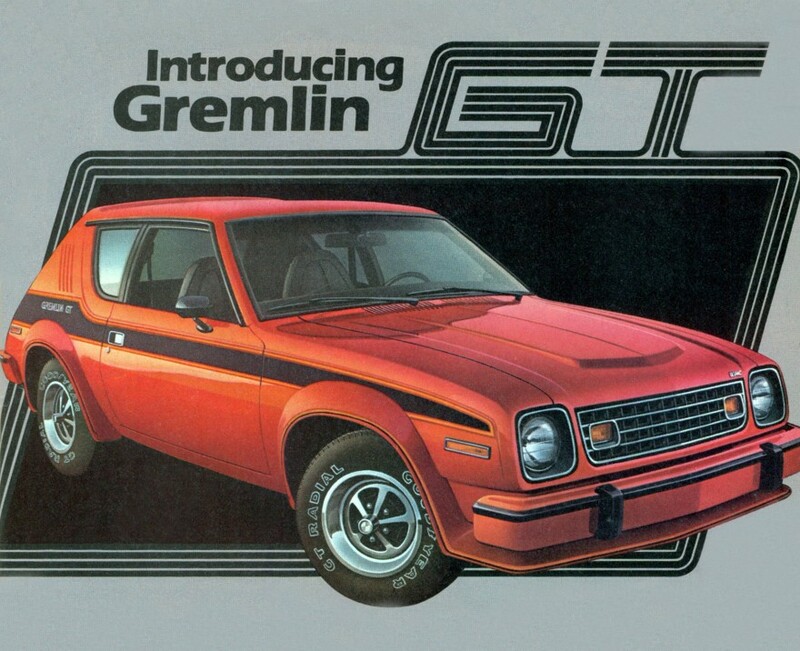 The 1976 V6 powered AMC Hornet X Hatchback came with slot-styled steel wheels, rally stripes, and sports steering wheel. Published on August 7, 2011 9:38 pm. 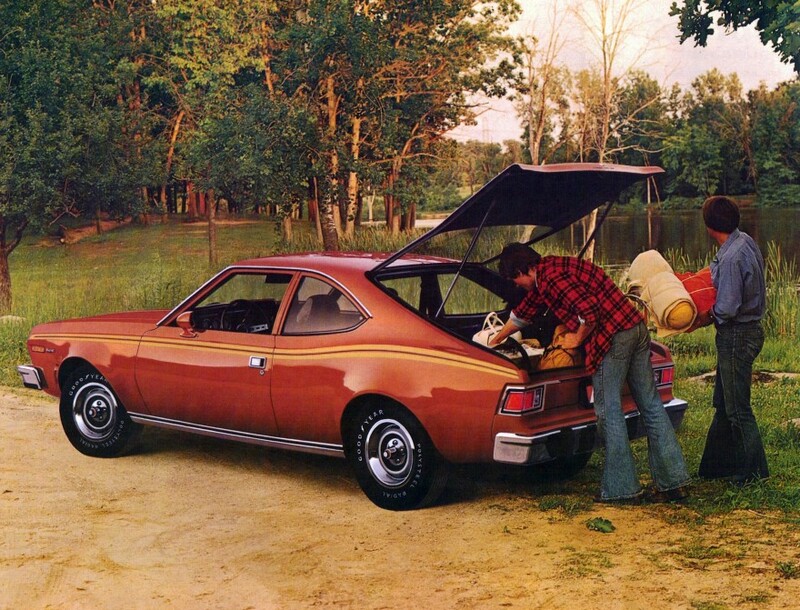 When introduced, Car & Driver magazine called the 1973 AMC Hornet Hatchback “The Styling Coup of’73”, which has 23 cubic feet of cargo space with the back seat folded down. 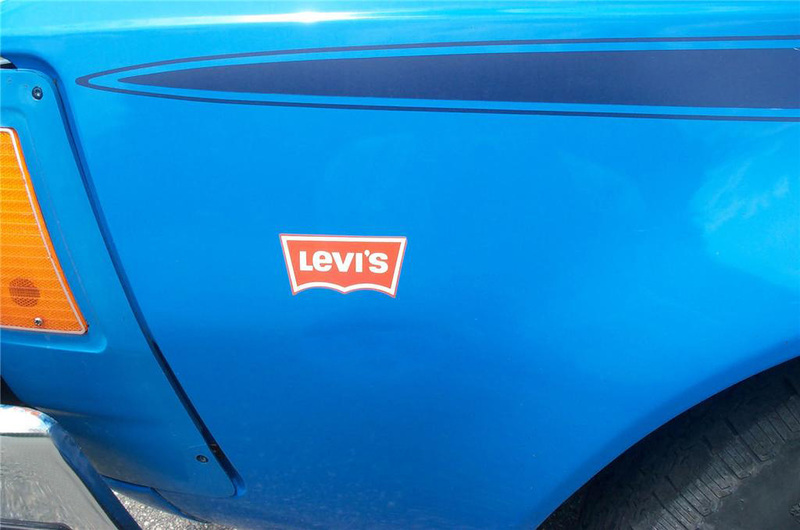 It even had an optional Levi’s interior, with copper buttons, orange stitching and a Levi’s tab (similar to this 1976 Levi Denim interior optioned Gremlin). Also included was the 12-month American Motors Buyer Protection Plan. Published on August 7, 2011 10:40 am.